Intel’s multi-billion purchase of security software company McAfee is a long-term gamble for the chip-making giant, a bet that demand for security algorithms built into chips will offset the hefty premium Intel paid for McAfee (“Intel acquires McAfee for $7.68 billion,” 19 August 2010 HSNW ). Fox Business’s Ken Sweet writes that investors and industry analysts are questioning the $7.7 billion merger. They do see ways the chipmaker and McAfee, known primarily for its popular anti-virus software found on many PCs, can integrate each other’s product offerings, the marriage has received little praise from Wall Street. Under the terms of the deal, Intel will pay McAfee shareholders $48 per share in cash for the Santa Clara, California-based company. It is a 60 percent premium to McAfee’s Wednesday closing share price. Sweet notes that while virus and other security concerns have always been an issue for corporations, governments, and consumers alike since the dawn of the PC era, security attacks have become a much more prominent issue in recent years as more and more devices integrate with the Internet. on concerns it might infect consumers’ bank accounts. With McAfee, Intel hopes to weave security software directly into its chips and chipsets both on the PC market but also in the growing mobile market through Intel’s Atom processor product line. “Anywhere we can sell silicon is an opportunity to see integrated security features as well,” said Renee James, general manager of Intel’s software and services group, who is at the head of the chipmakers’ push into this field. Ng sees Intel’s purchase as a way for the company to pick up a highly profitable company while also providing an avenue to fight competition from companies like Advanced Micro Devices. 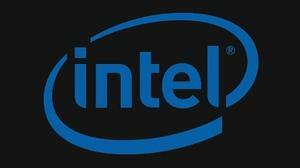 “It’s just another way Intel can market and differentiate its chips from the competition,” Ng said. The merger between the two companies takes place ahead of the release in 2011 of new — and as yet undisclosed — products developed by a joint venture the two companies have operated in the past eighteen months. “Those undisclosed products may be part of the reason why Intel decided to purchase McAfee instead of extending or expanding the two companies’ joint venture,” Sweet writers. “If what came out of that joint venture was revolutionary it could be that Intel wanted to lock that [intellectual property] down,” said S&P Equity Research analyst Clyde Montevirgen.